Things To Avoid: 1) Companies that ask for a large deposit before providing services, 2) Unlicensed private investigators, 3) Investigators not willing to provide a professional service agreement, 4) Illegal use of tracking devices such as cell phones, key loggers, and gps, 5) Risky behavior that can cause you to be legally liable. $50 per hour, or $350 per day (8 hrs). Domestic relations surveillance, fraud and insurance surveillance, and infidelity checks. 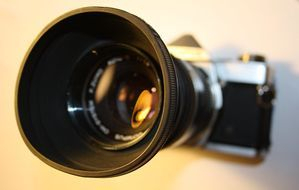 Includes standard photography, digital photography, digital video (HD, DV, Hi-8, or DVD), background investigation of the subject, and detail reports of all events. We require a minimum advance retainer payment of $200 prior to starting all surveillance assignments (approximately 5 hours of surveillance). Authorization required prior to exceeding initial retainer amount. $50 per hour or $350 per day (8 hrs). Frequently involves investigating employee situations where theft, harassment, or other situations may exist. Retainer amount required. $45 Per hour in-office plus reports. We use proprietary databases for most locates. Verification of exact address and phone are essential to the process. Price depends on difficulty. Mileage may apply for on-site verifications. Retainer amount required. $45 per hour in-office plus reports. If assignment requires surveillance, an additional charge of $50 per hour. Frequently requires fieldwork and interviewing of possible associates. The investigation can be extensive and prices may vary. Other expenses may apply. Retainer amount required. $50 per hour for video surveillance or $350 per day (8 hrs). Generally includes divorce and marriage issues and may include proof of affair and video documentation and court papers. Retainer required. Authorization required prior to exceeding initial retainer amount. $50 in-office plus reports. Price depends on depth of background check and the number of states and counties involved. Includes criminal history and civil records. Retainer required. $50 per hour or $350 per day (8 hrs). Investigative services for insurance companies, law firms, and other investigative agencies. Price depends on surveillance needs, location, and time. Retainer required $250 (approximately 5 hours of surveillance). Authorization required prior to exceeding initial retainer amount. $50 per hour. Includes document searches and researching case files at local and county courts. Charging for the photocopying of documents may apply. Pre-payment in full required. $125 per hour. Generally used for taking witness or subject statements. Audio and video available depending on witness permission. Pre-payment in full required. $50 per hour. Retainer amount required. $125 per hour. Personal inspection of personal and real property for business and public plus. Retainer amount required. $50 per hour. General investigation in regard to health and welfare, property interests, business interests, and personal interests. Retainer amount required. $45 per hour for in-office research plus reports. Pre-payment in full required. Undercover Intelligence and Private Investigators shall provide the following service/s to the Client in accordance with the terms and conditions of this Agreement: Services include, but are not limited to: Private Investigations, Matrimonial/Partner Investigations, Surveillance Specialists, Mobile/Email/Internet Surveillance, Pre-Divorce Reports, Child Custody Disputes, Juvenile Activity Surveillance, After Dark Surveillance, Neighbourhood Surveillance/Reports, Witness Statements, Employment Vetting, Background Checks, Workplace Alcohol and Drug Testing, Workplace Fraud, Workplace Accident Reports, Insurance Accident Reports, Insurance Fraud Investigations, People Tracing Relatives or Debtors and Vehicle Tracking. Employee Investigations. Fraud and Scam Investigations. Undercover Investigations. Undercover Intelligence and Private Investigators will start the Service/s at a time agreed by both parties. Undercover Intelligence and Private Investigators shall complete/stop providing the Service/s either when the objective of the Service/s has been achieved or when Undercover Intelligence and Private Investigators deems appropriate. Undercover Intelligence and Private Investigators aims to work constructively and efficiently, thus providing all of its services within the shortest amount of time possible. Due to the nature of investigations a successful outcome for a case can never be guaranteed. Undercover Intelligence and Private Investigators are paid for time spent on a particular case and not the outcome. However all effort will be made to produce a positive result. Undercover Intelligence and Private Investigators liability (including negligence) arising directly/or in connection with these terms or the performance or observance of its obligations under these terms and every applicable part of it shall be limited in aggregate to the cost of the service/s. Either Party may terminate this Agreement in writing if the other is in breach of any obligation contained in this Agreement, which is not rectified within 7 days of written notice from the other Party. Any termination of this Agreement (howsoever occasioned) shall not affect any accrued rights or liabilities of either Party. The Client agrees that the Client is solely responsible for complying with any laws, taxes, and tariffs applicable in any way to the Service/s contemplated herein. b. The Client will protect, and defend Undercover Intelligence and Private Investigators , its subcontractors and agents from any claim, suit, penalty, tax, fine, or tariff or any failure to comply with any such laws, taxes and tariffs, whilst operating on behalf of the client. In no event will Undercover Intelligence and Private Investigators be liable to the Client or any third party for any damages. This agreement constitutes the sole agreement between Undercover Intelligence and Private Investigators and the Client regarding any Service/s provided by Undercover Intelligence and Private Investigators. Ordinarily we will accept payment of charges by cheque, direct debit, bank deposit and electronic transfer, but we reserve the right to refuse any payment method if we have reason to believe such payment will be dishonoured. The customer may not withhold payment of any invoice or other amount due to Undercover Intelligence and Private Investigators for any reason. You agree to pay all fees and charges (and applicable taxes) incurred which relate to the use of the Service/s, in accordance with the rates and Terms and Conditions. Any and all amounts payable for service/s shall be payable within 7 days from invoice date. Undercover Intelligence and Private Investigators may request a deposit of up to 100% of estimated cost/quote for job prior to commencing. Undercover Intelligence and Private Investigators shall not be required to refund to you, in whole or in part, any amounts paid or prepaid for use of any services, unless otherwise agreed. Unless you notify Undercover Intelligence and Private Investigators in writing of any discrepancies or unauthorised charges within Seven (7) days after they first appear on your Invoice statement or bank statement, they will be deemed accepted by you for all purposes. This includes resolution of enquiries made by your card issuer and you release Undercover Intelligence and Private Investigators from all liabilities and claims of loss resulting from any error or discrepancy. In default of due payment of its invoice, Undercover Intelligence and Private Investigators may in its absolute discretion and irrespective of any other rights maintain an action against the customer for the invoice sum upon which interest shall be payable at the rate of 8% per calendar month or part thereof from the date of the invoice until payment. The customer agrees to pay Undercover Intelligence and Private Investigators for any legal costs which it may reasonably incur to recover its invoice sum. Undercover Intelligence and Private Investigators, its agents and representatives will never disclose client information without being served the proper legal instrument that Undercover Intelligence and Private Investigators must comply with, unless the client expressly wishes us to release any such information to a third party. In the absence of such an instrument, or client authority to release information pertaining to a client’s investigations, Undercover Intelligence and Private Investigators considers all client materials, identity data, and all material relating to client investigations as highly confidential. All information kept and stored by Undercover Intelligence and Private Investigators will be held in accordance to Ghana Data Protection Laws. In the event of cancellation by the client of any service prior to the service being started, the client shall be responsible for all costs incurred by the company. Payment of these costs becomes due immediately. Choosing to use Undercover Intelligence and Private Investigators signifies your agreement to these terms.